This is 1/48 Tamiya Spitfire Mk.Vb trop finished in the markings of the Turkish Air Force. In July 1944 39 Spitfires Mk.Vb were sent to Turkey from RAF Mediterranean stocks. They were followed by further 71 Mk.Vc’s and three recconnaissance versions, all of which arrived in February 1945. Turkish Spitfires Mk.Vb were deployed with the 5th and 6th Regiments of the TuAF. 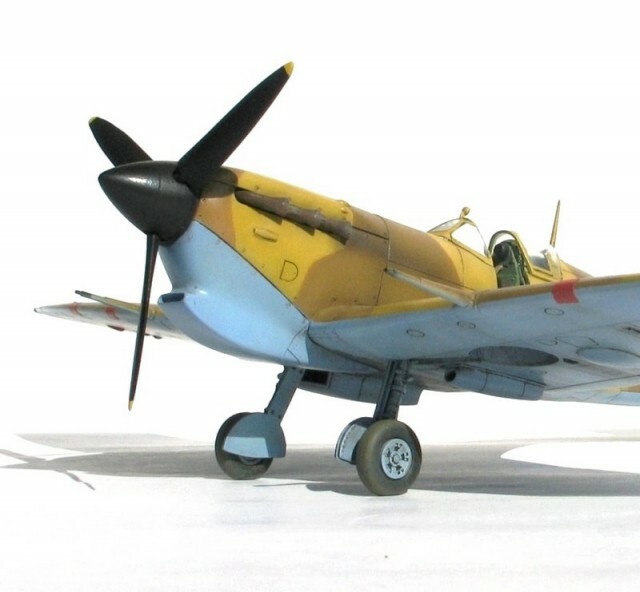 They were replaced by the P-47 D-30 Thunderbolts and more modern Spitfires Mk9 in 1948. The construction started with the painting of cockpit components, RAF interior green being the dominant colour. 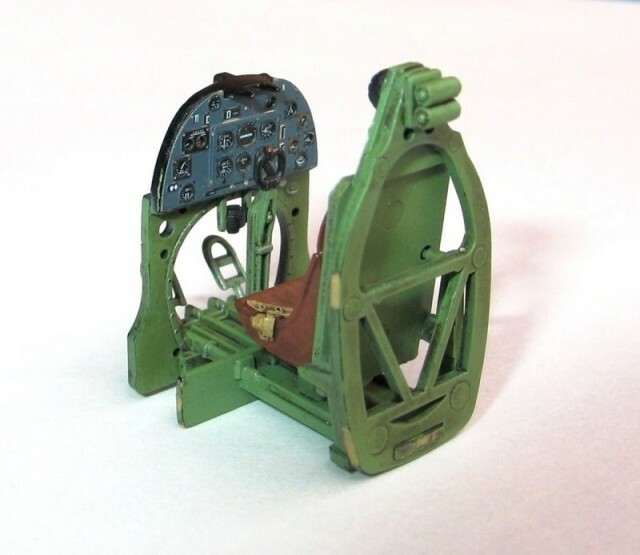 The cockpit was modified with the following parts. 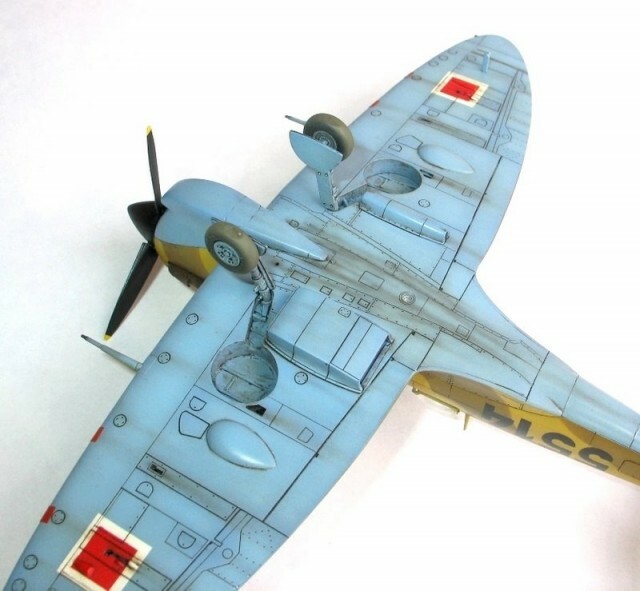 The elevators from Ultracast Spitfire MkV Control surfaces set. The painting was done mostly with Gunze Sangyo acrylics. On the upper surfaces I used Gunze‘s Dark Earth and Mid-Stone, while the underside was painted to RAF Azure Blue shade by using a homemade mix of Tamiya acrylics. The square national insignia come from Turquoise decals. Decals for black code numbers (5514) were kindly printed by my friend Özkan Türker. 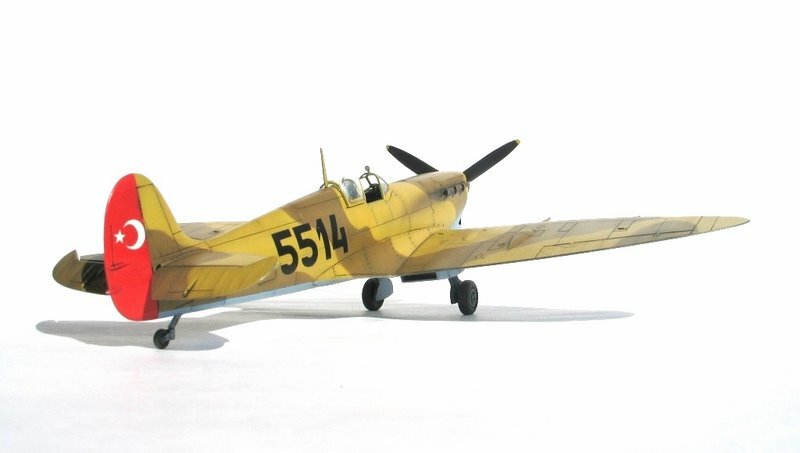 After some weathering (see the photos), the model was finished with a matt coat from Gunze. Happy Modelling from Istanbul, Turkey! Great paint job and weathering Tolga!